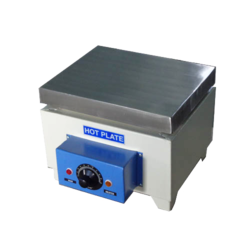 Providing you the best range of hot plate circular and hot plate - rectangular with effective & timely delivery. This is heavy duty Model hot plate with a removable MS Plate / SS Plate at the top. The housing is made of mild steel sheet and finished in powder coated paint. 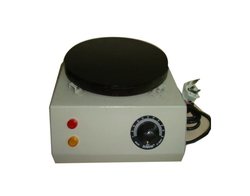 Energy Regulator is provided for control the temperature in the Hot plate. The unit is designed for operating on 220/230 volts, single phase, 50 Hz AC. Looking for Hot Plates ?